I’m in. Where do I sign up. No pressure at all!!!! I’m sure you would enjoy 2 days in Australia during March Break! Really long plane rides are very educational and relaxing! 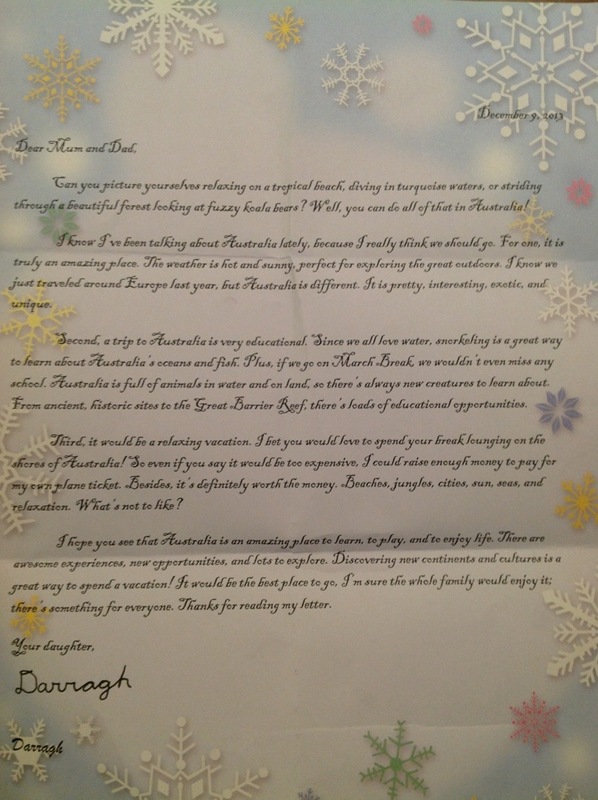 Darragh you are amazing!! So, are you surfing the web for tickets???! Lots of criteria to check off in that persuasive piece n’est pas?? ?